Music is life through the ears of the beholder. I've got two projects going. Well, "going" is a relative term. I've been diddling around with a new novel for eight months and I'm only on Chapter Five -- and they're short chapters. Subsequently, I had an idea to write a non-fiction book about country music. So I started that. It's not going entirely how I envisioned it. I want to write about artists who influenced my love of the country music genre, but I find that I don't know every (or any) minuscule detail of their lives, and I'll be damned if I'll write a book based on Wikipedia articles. I'm wondering now if either of those ideas were rational. I'd really like to have a third April Tompkins novel; kind of a boxed set, if you will; to go with the other two novels nobody's purchased. The three of them would look nice side-by-side on Amazon, and I'm all about aesthetics. Plus, three is simply a more appealing number than two, and I'd have better bragging rights (to myself). The thing about writing novels that no one reads, though, is that at some point it begins to feel like a time-intensive slog; quixotic. A waste of the few brain cells I have remaining. 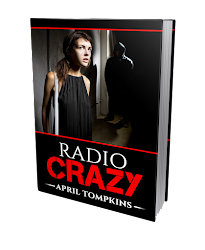 I loved Radio Crazy -- no one else (agents; publishers) seemed to. I think, in fact, I might purchase it and download it to my Kindle. I might even read it again for the seventy-fifth time, but this time with fresh eyes. So, I'm uncommitted. Obviously I need to write or I wouldn't be tapping out these words tonight. Writing soothes my nerve endings that jangle for forty or fifty hours every week. 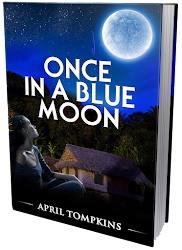 My question to you is, would you rather read a novel about a dysfunctional family and a main character who's carrying around a big secret or an anthology of the past fifty years of country music? Red River's New Digital CD!